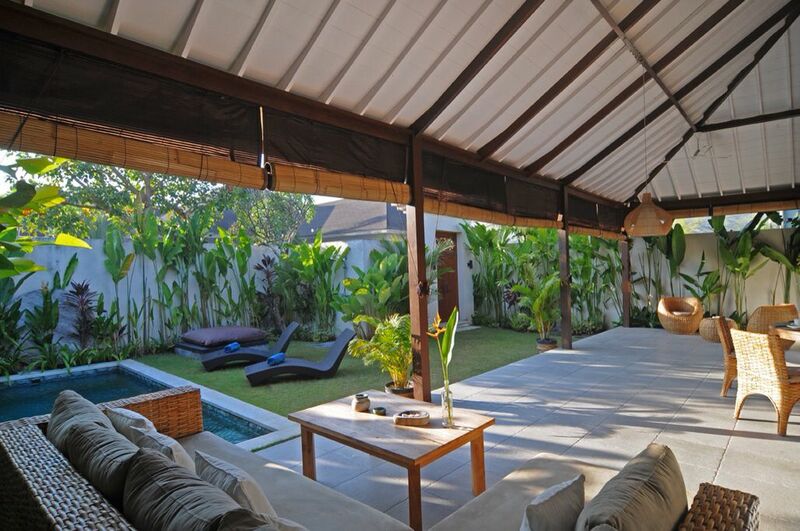 This tropical villa is located in the heart of Batubelig, only 800 meters from the beach and at 5 minutes to Oberoi. 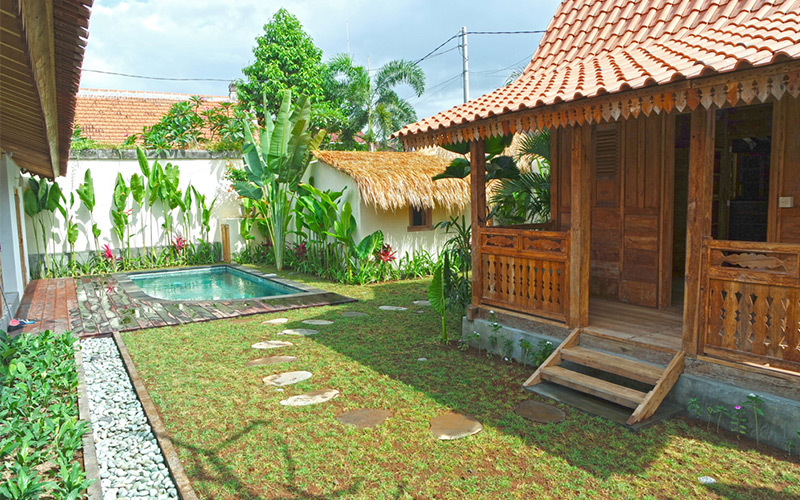 This modern balinese house has 2 large bedrooms with en suite bathrooms. 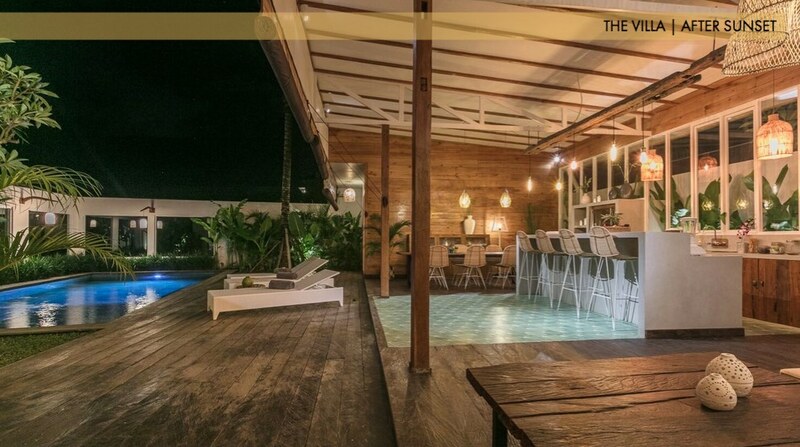 The living space is face to the swimming pool and its exotic garden. A large private car park is adjacent to the villa. A good investment in a reasonable budget.